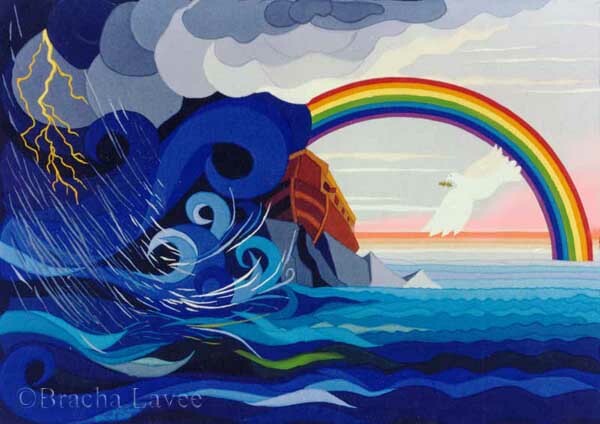 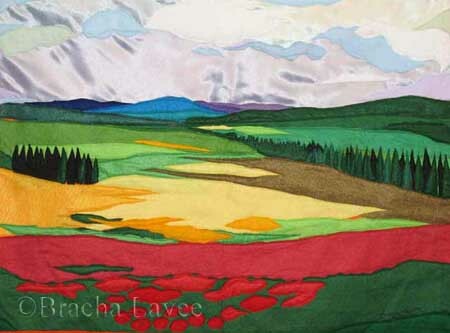 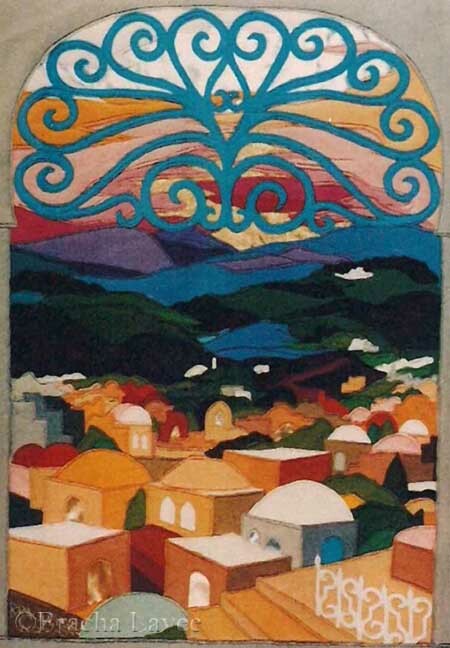 For about 40 years my main art form is tapestries. 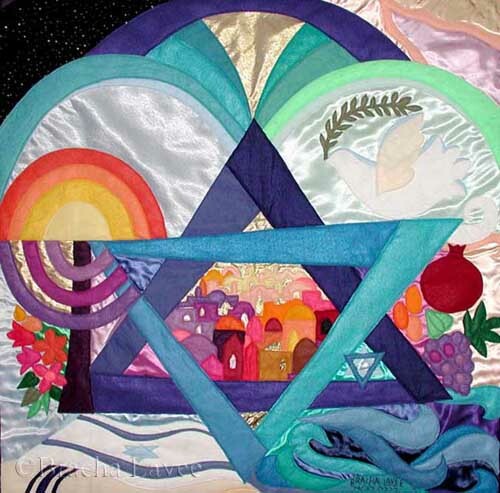 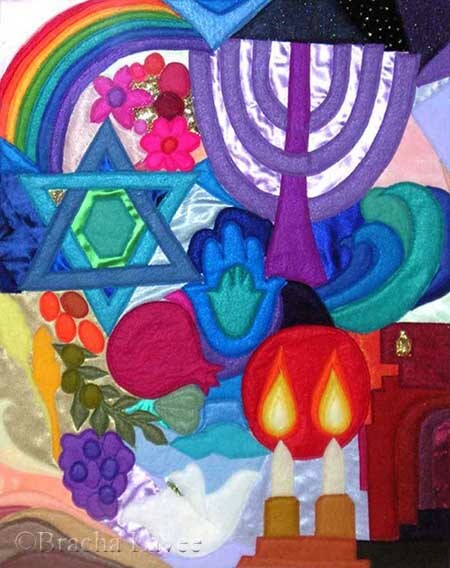 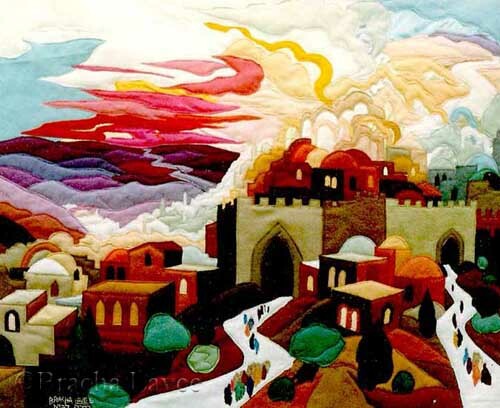 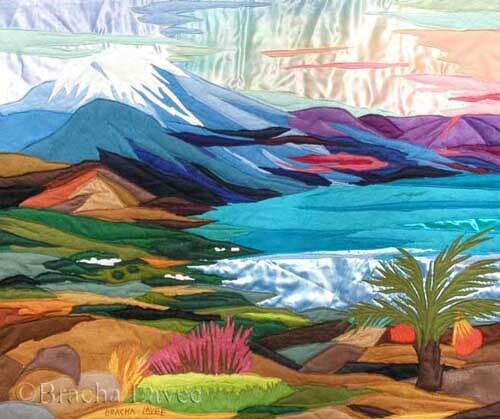 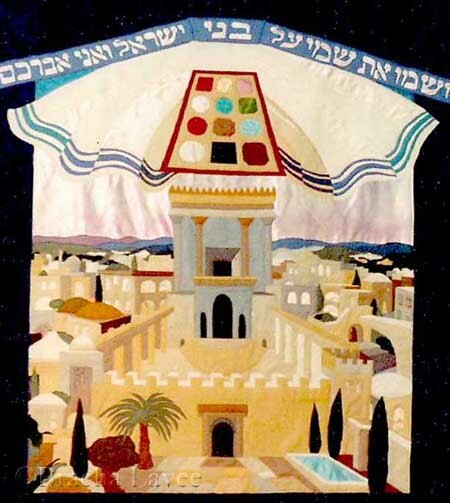 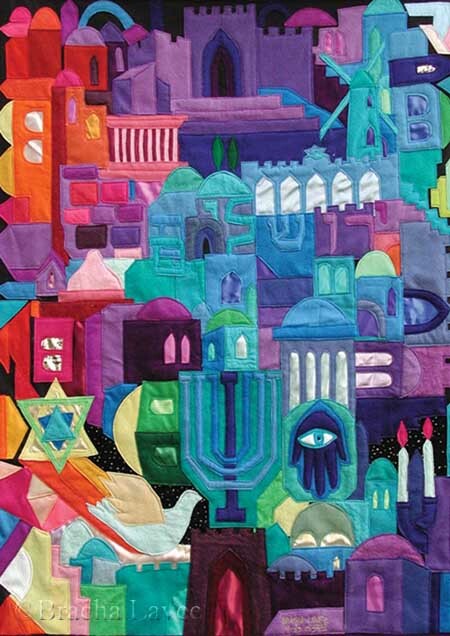 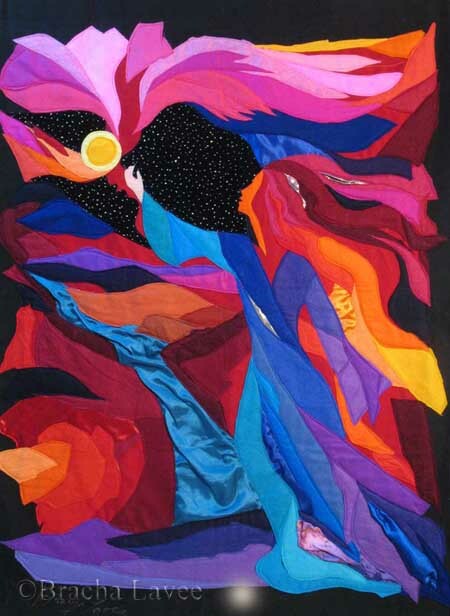 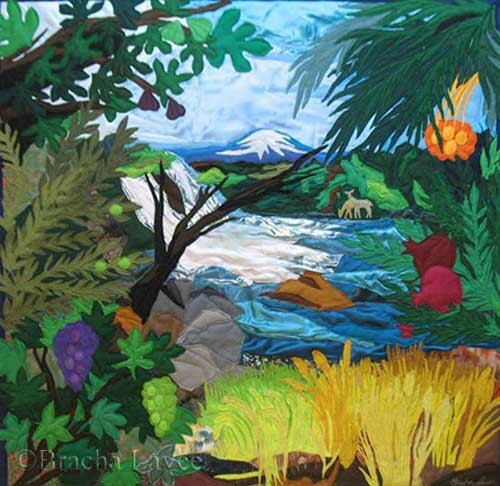 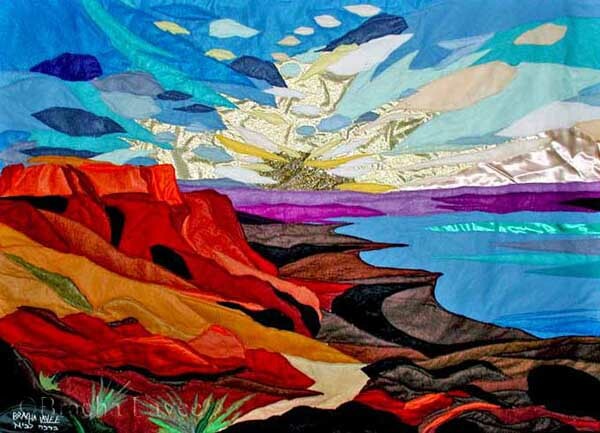 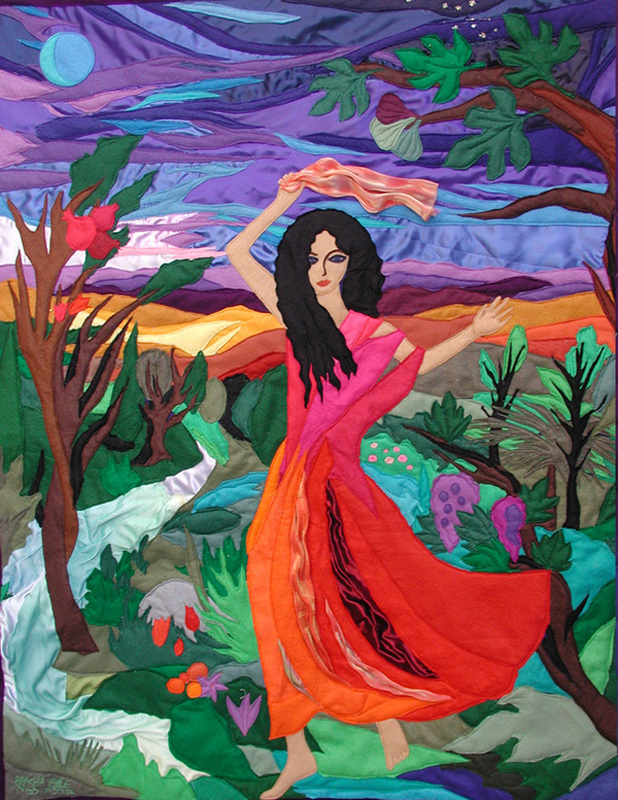 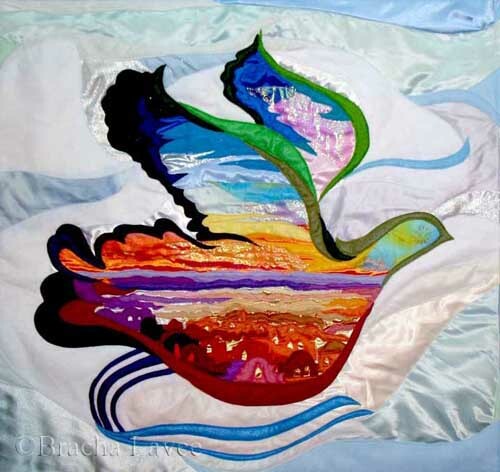 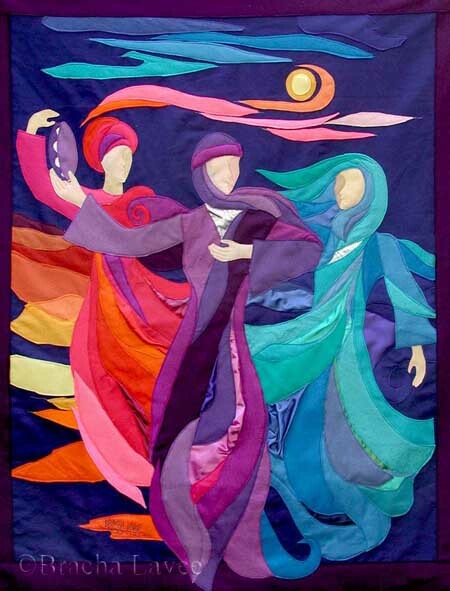 The tapestries are made of felt on canvas, silk, satin and other unique fabrics. 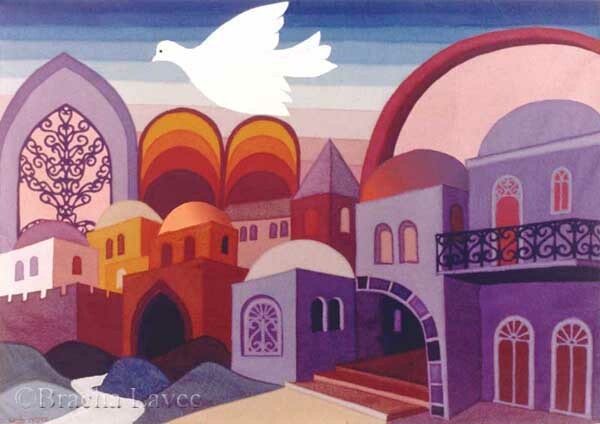 Each peace is totally original and made only by me. 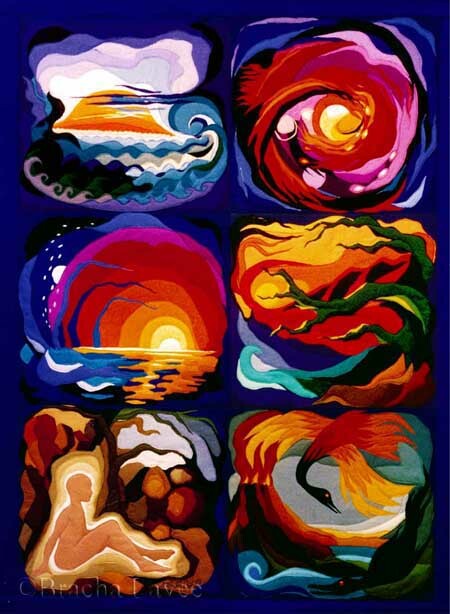 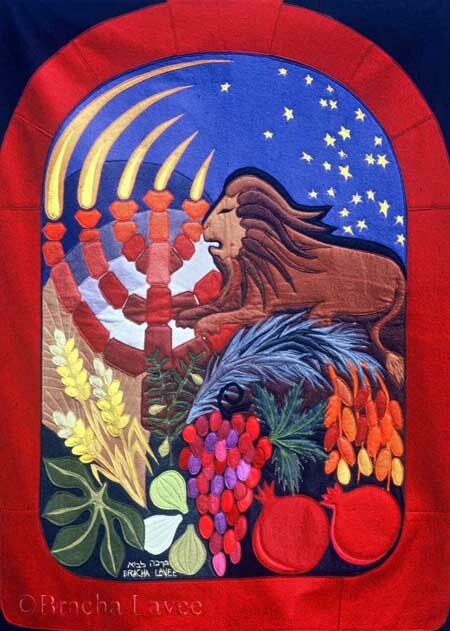 Many of the tapestries were commissioned by private clients with specific ideas and requirements. 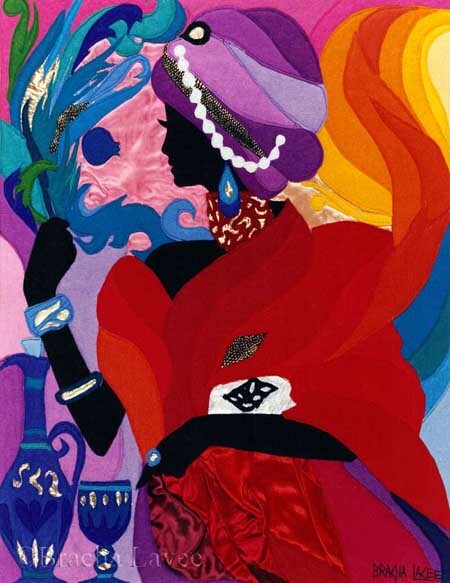 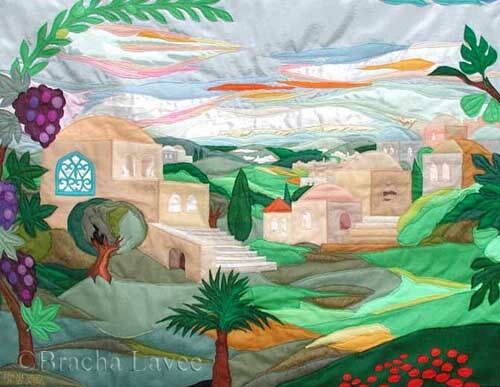 Till today I created hundreds of tapestries for private and public collection all over the world . 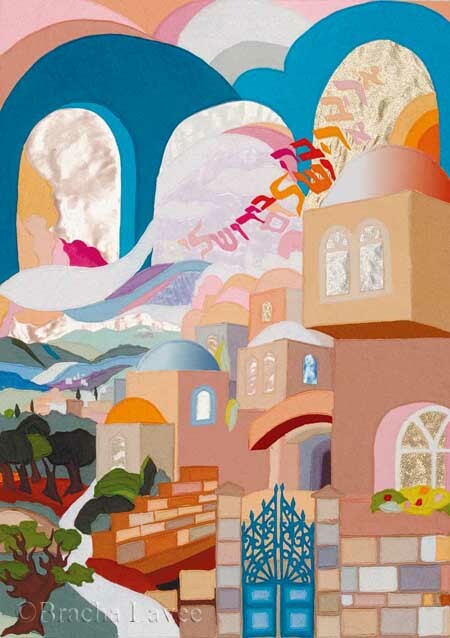 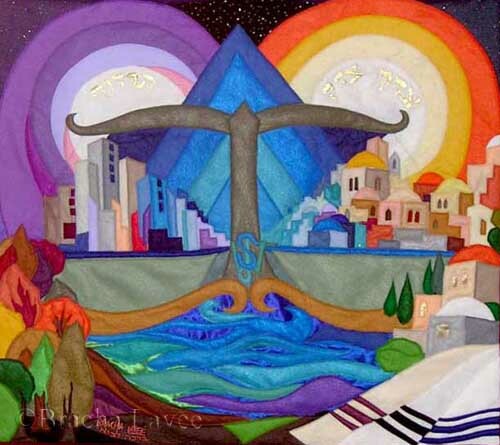 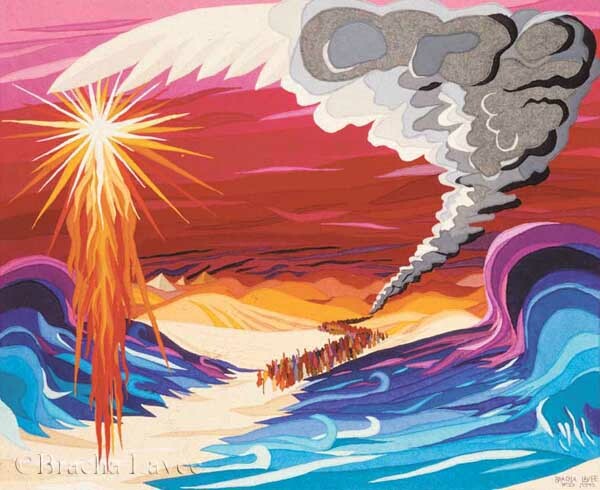 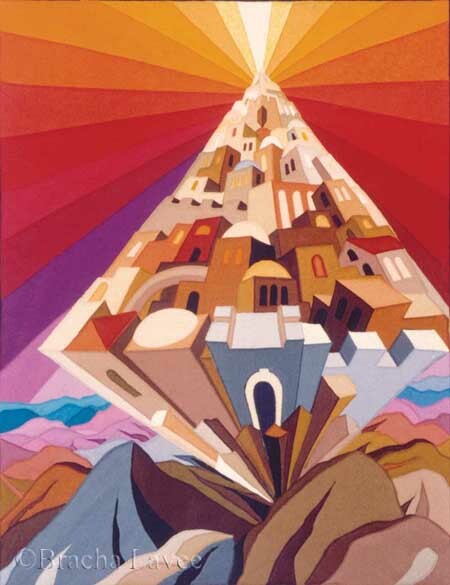 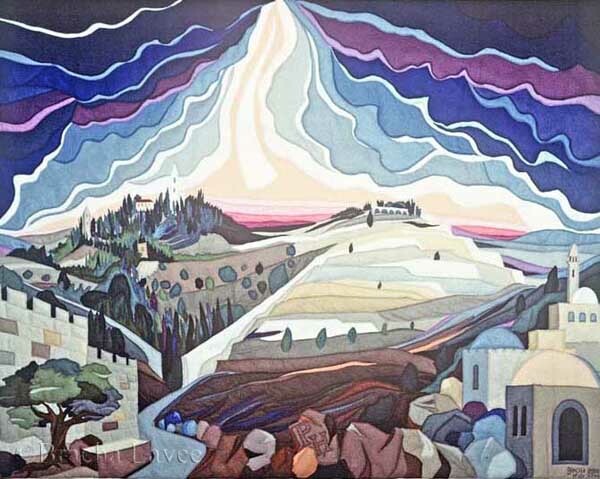 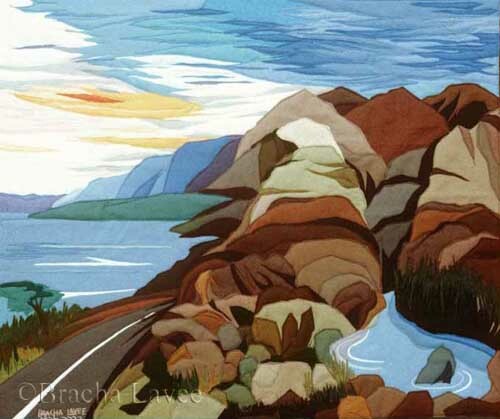 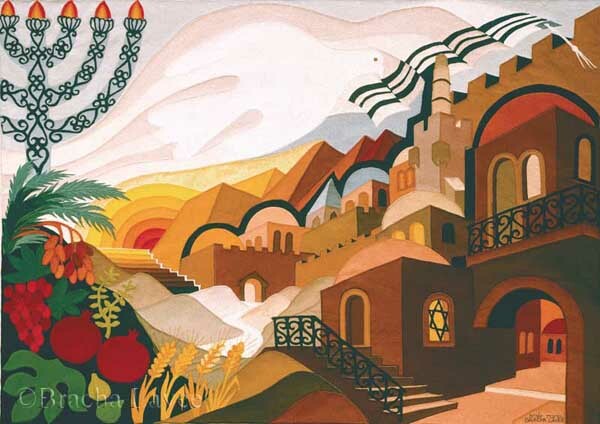 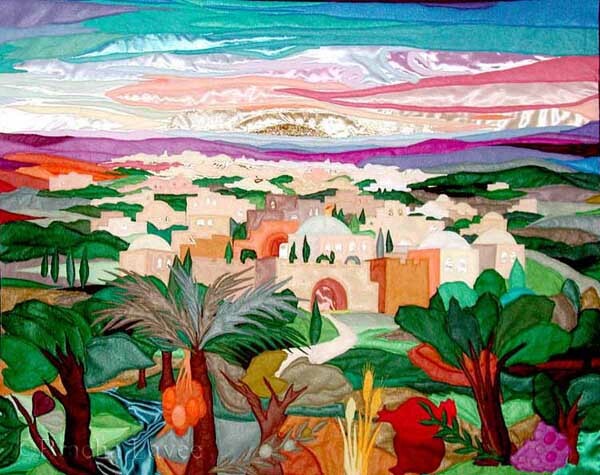 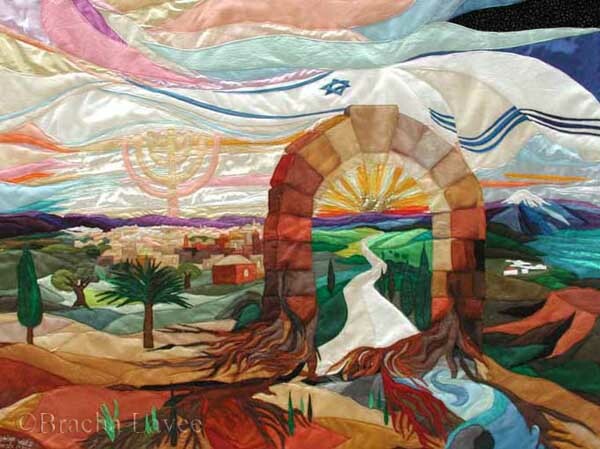 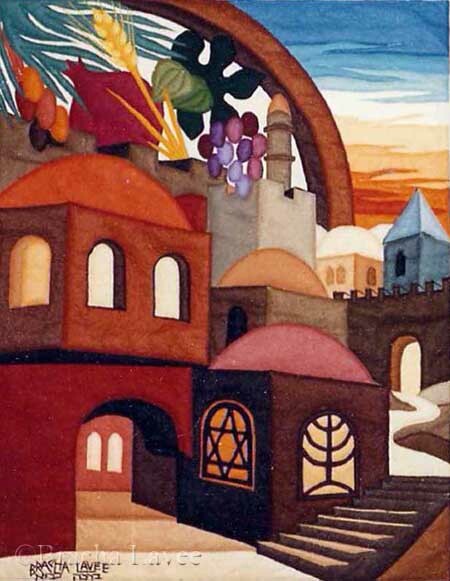 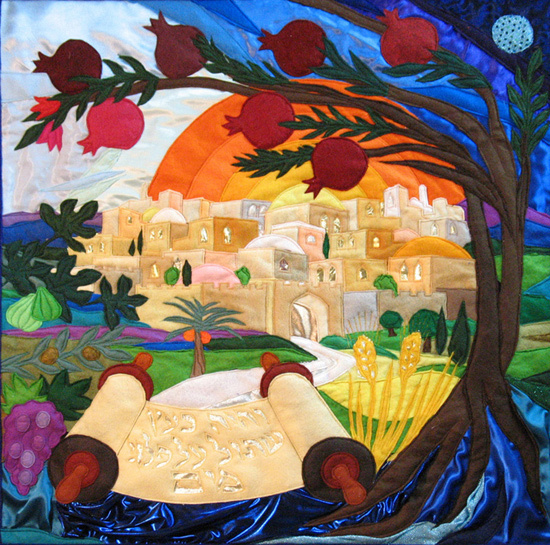 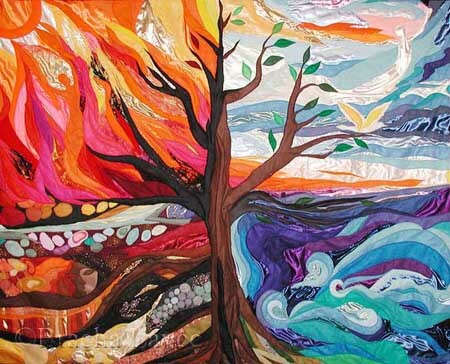 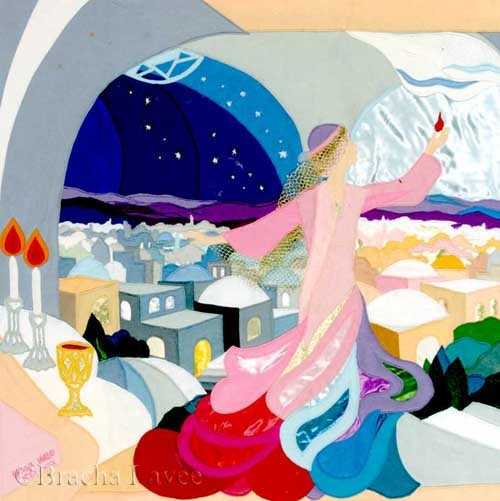 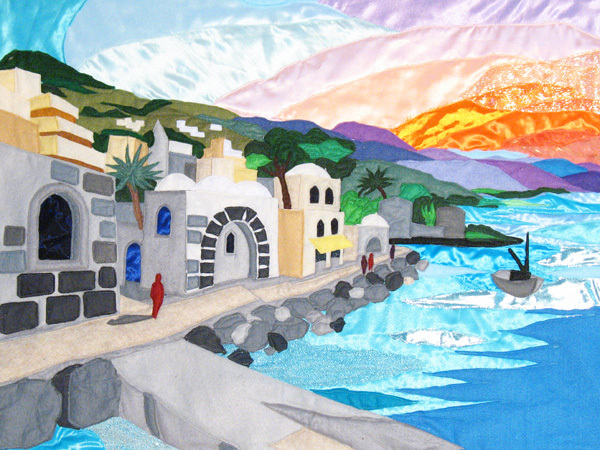 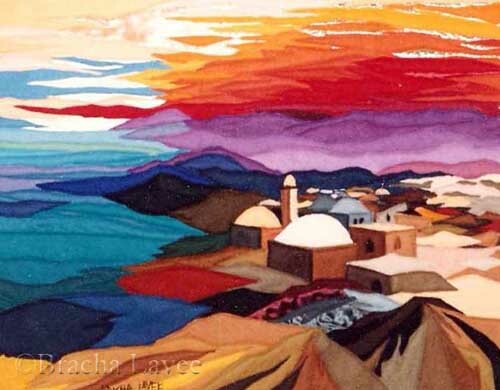 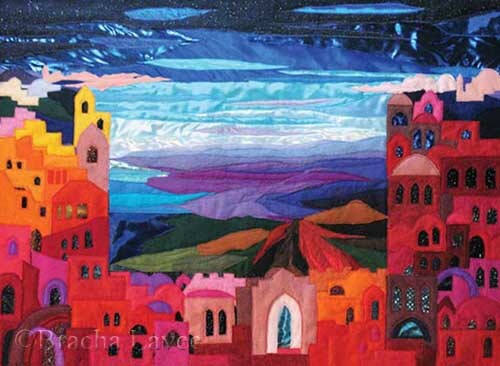 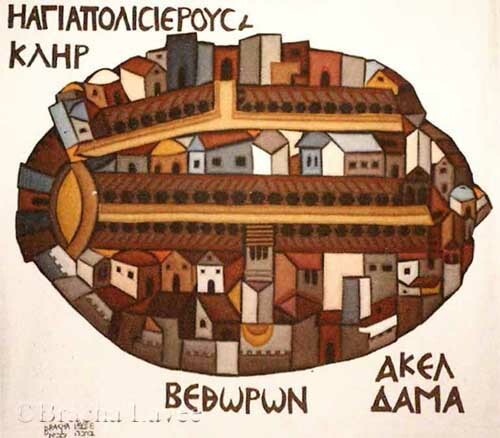 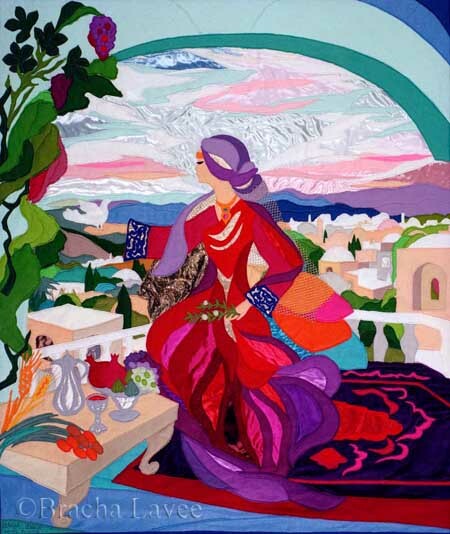 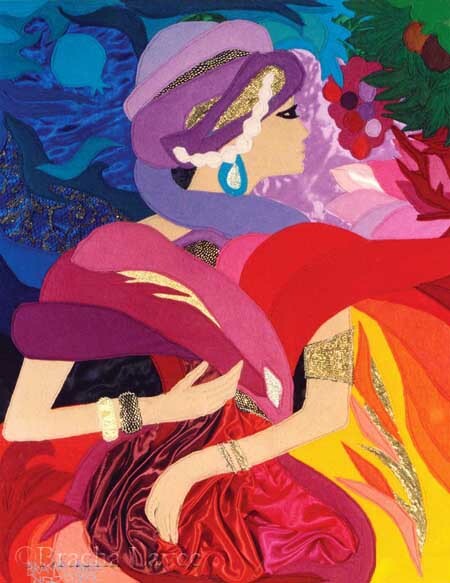 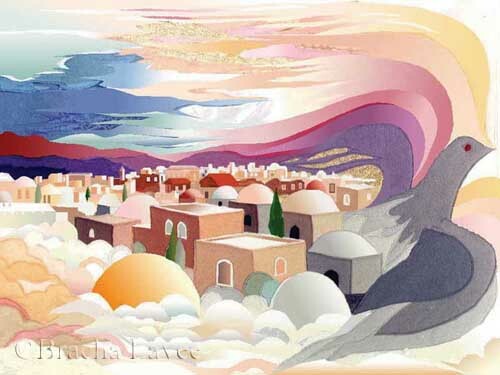 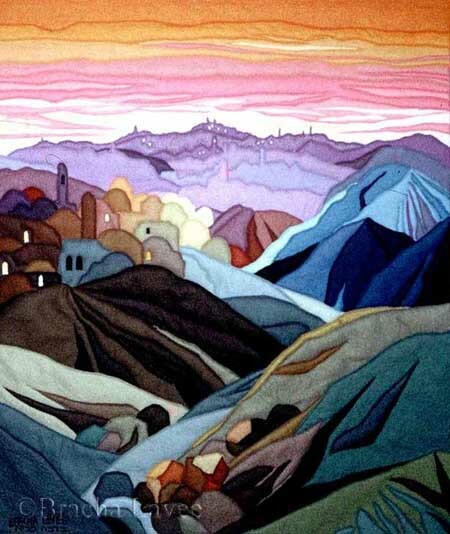 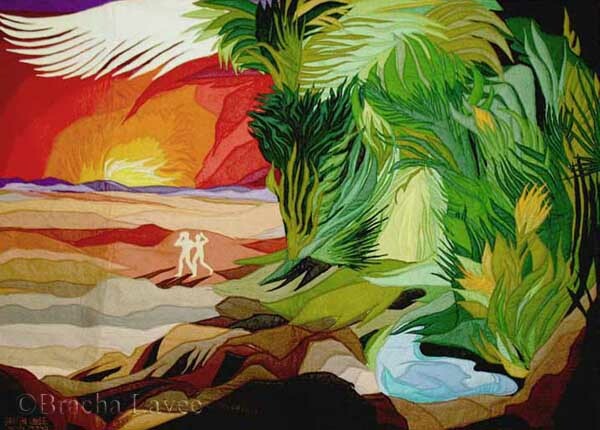 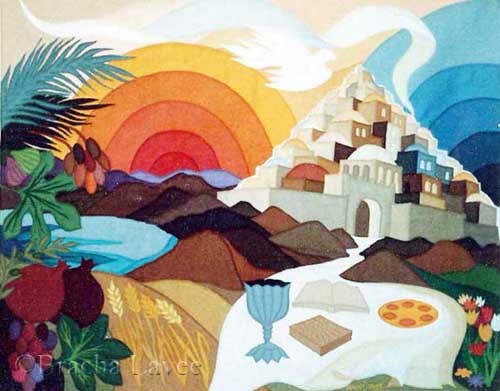 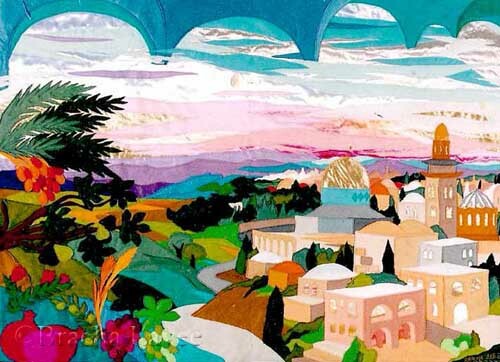 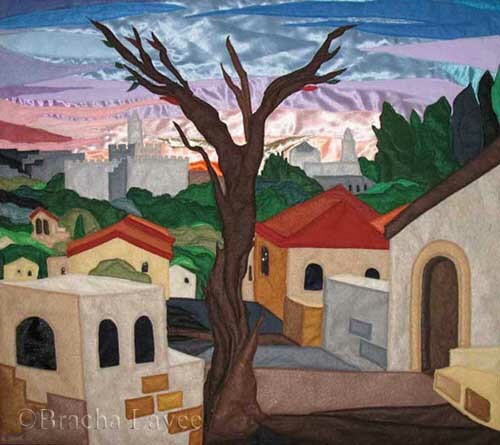 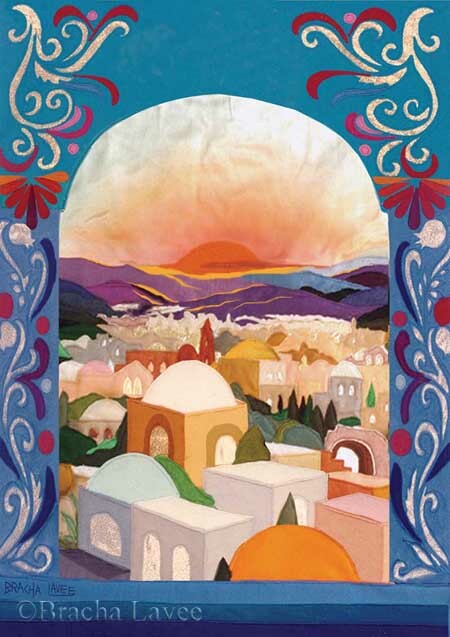 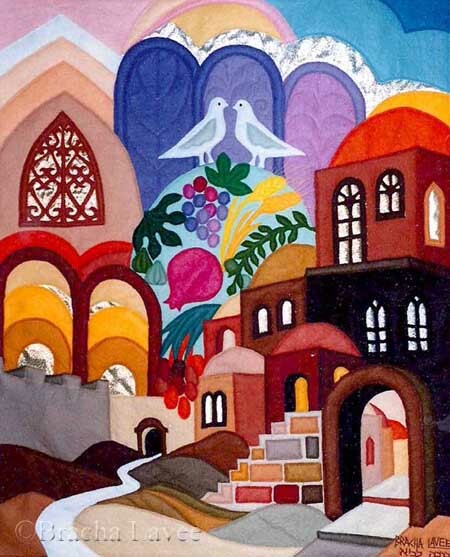 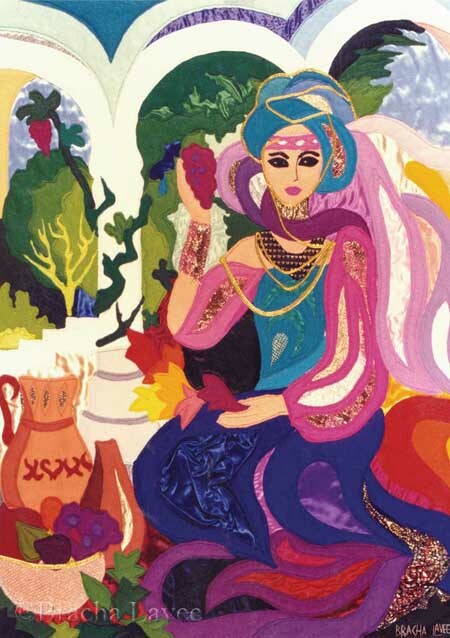 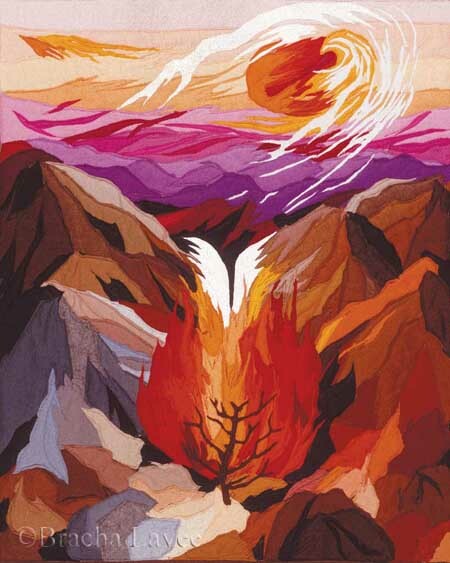 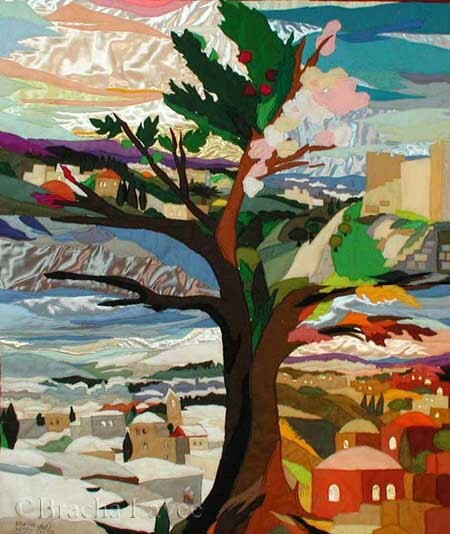 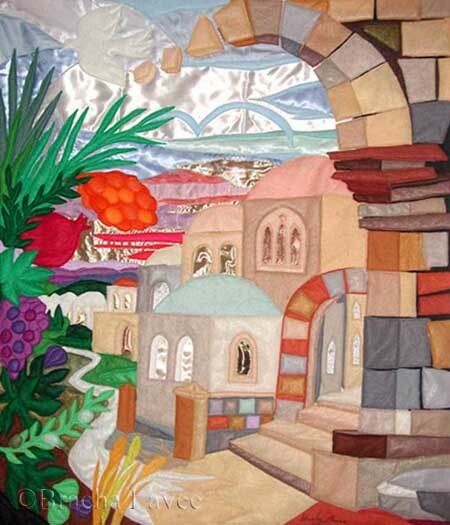 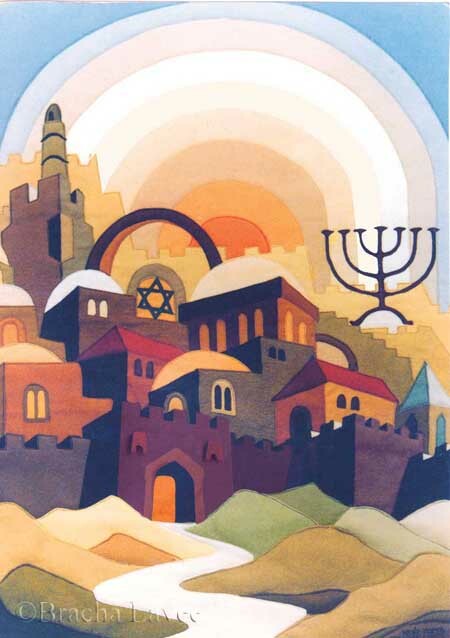 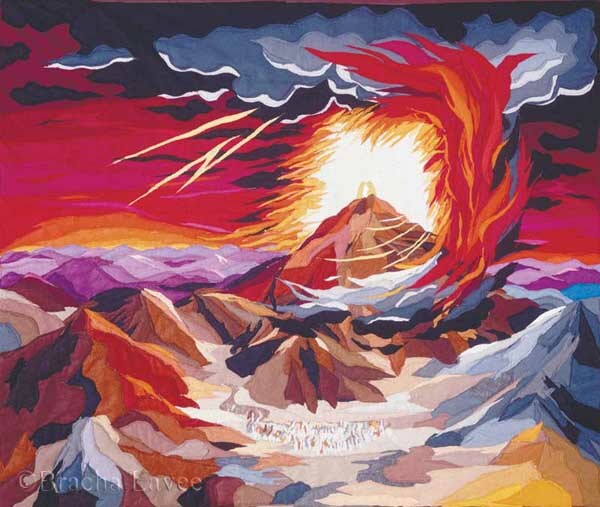 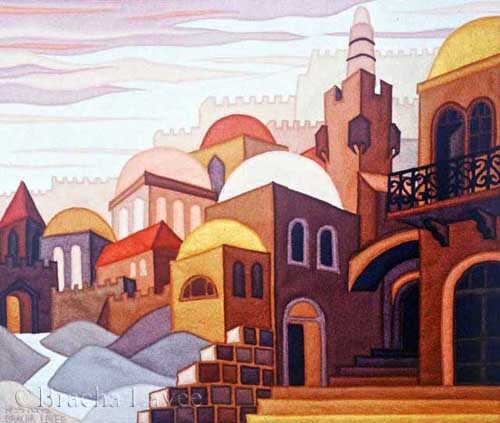 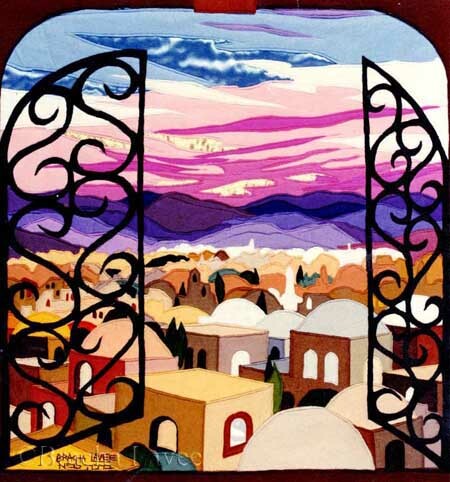 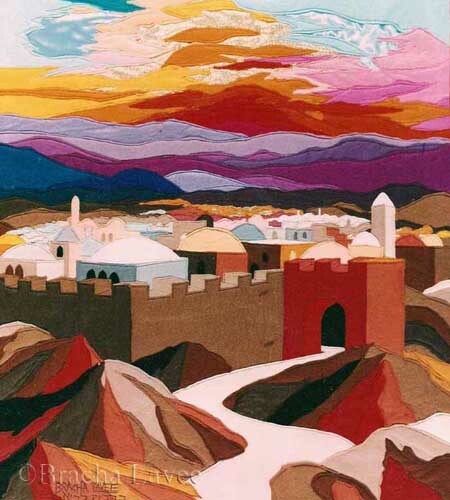 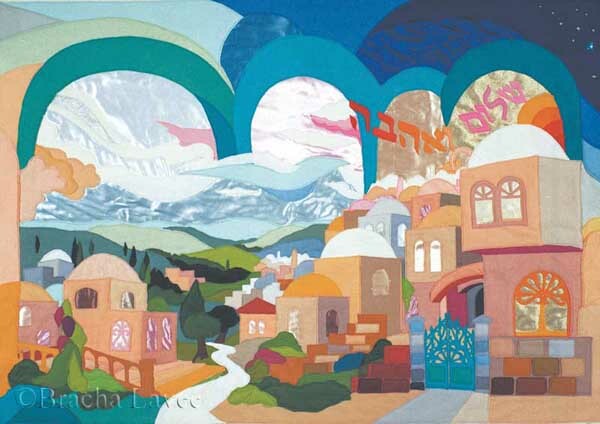 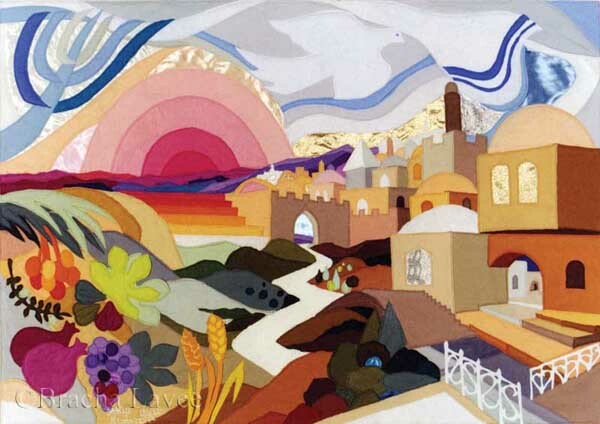 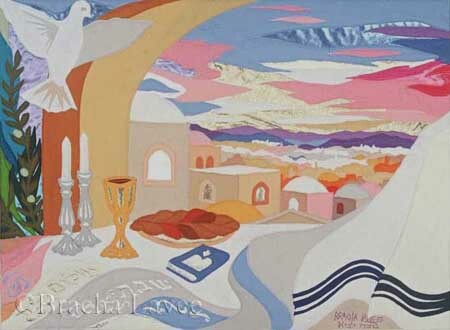 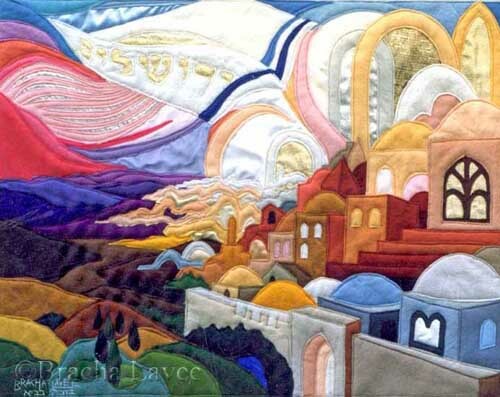 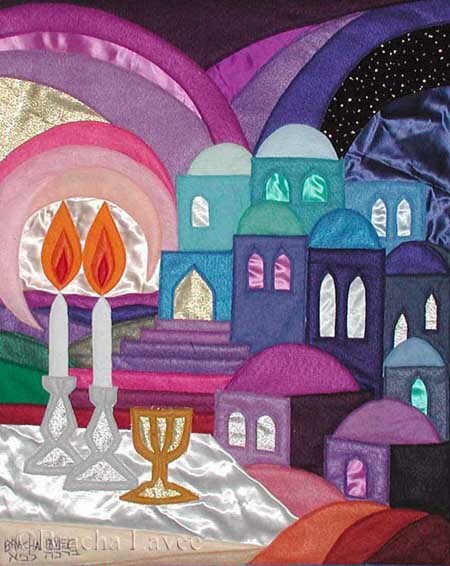 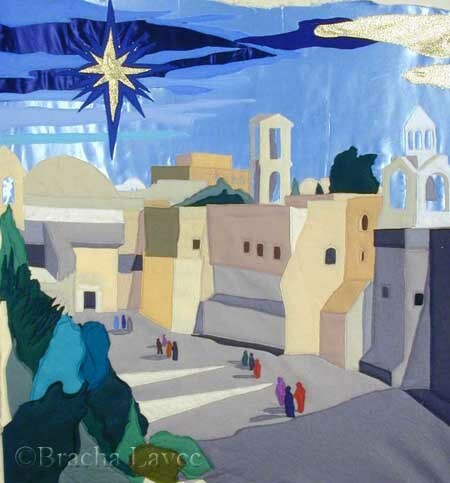 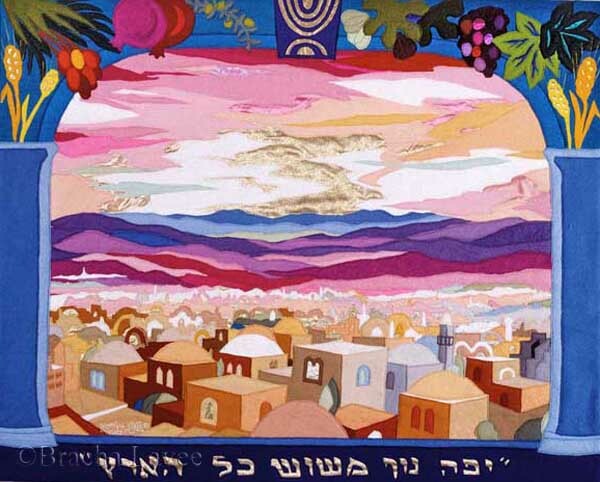 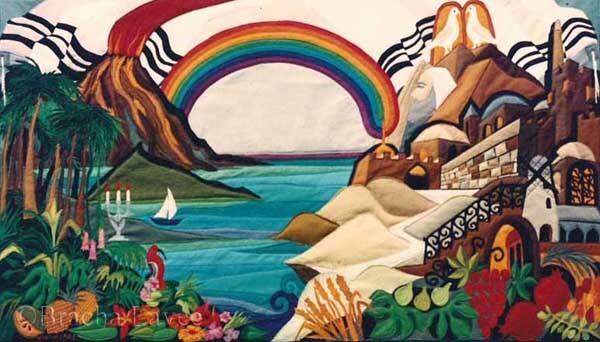 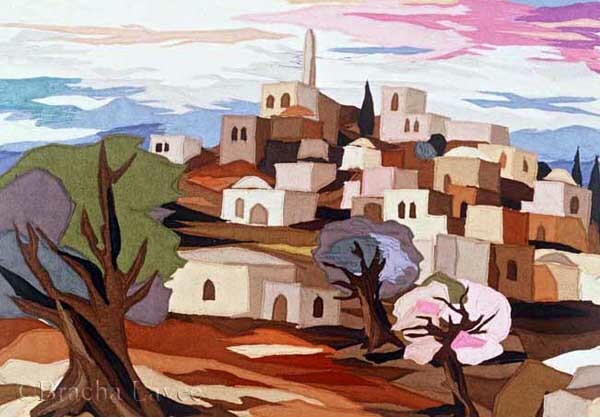 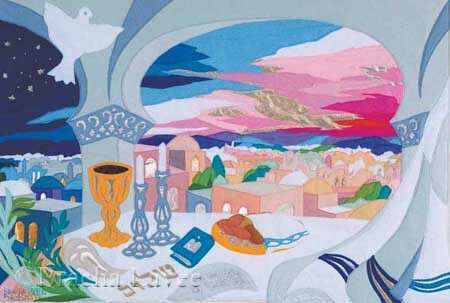 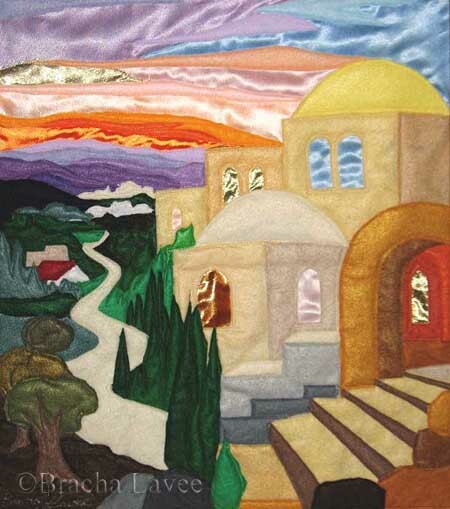 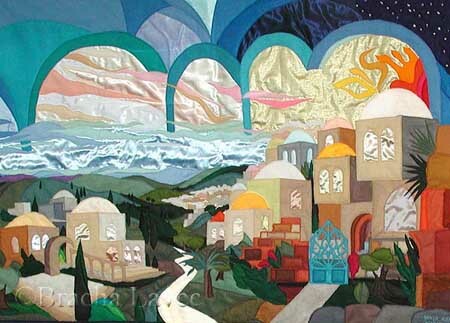 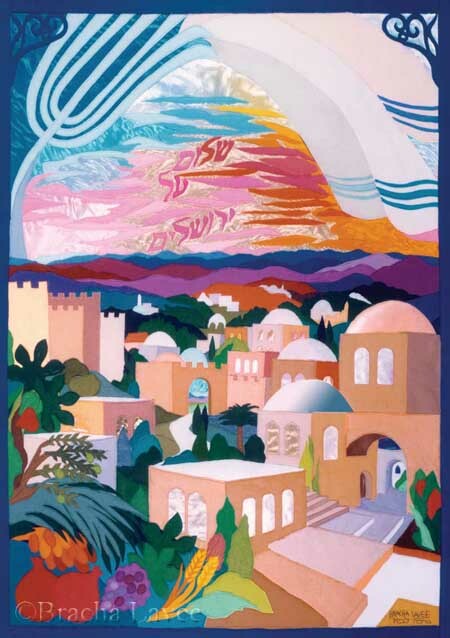 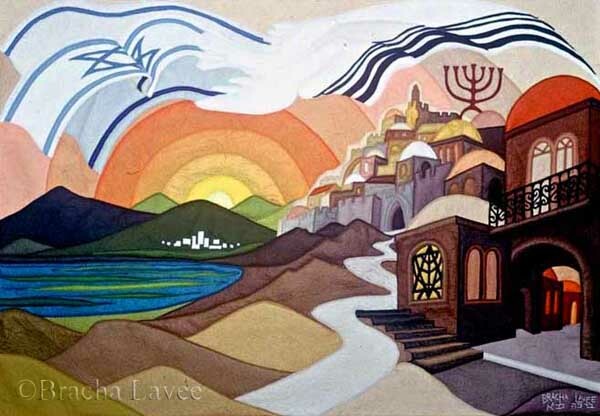 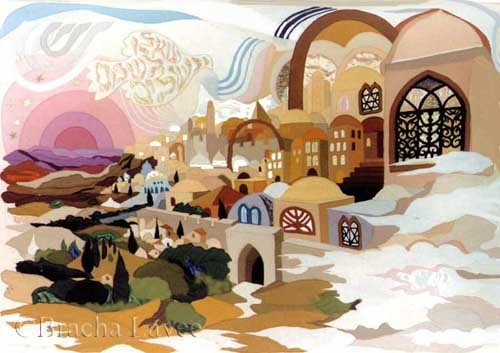 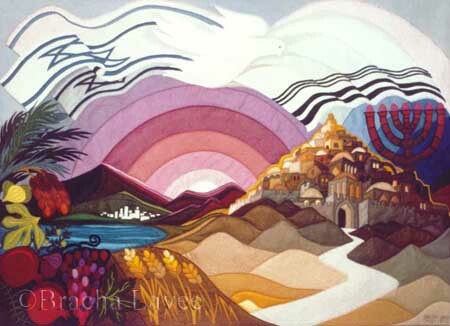 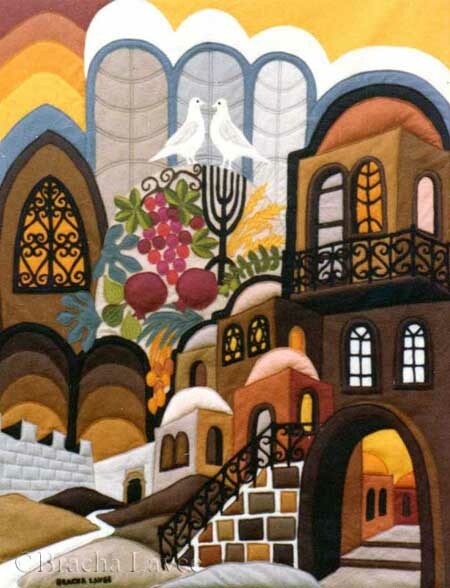 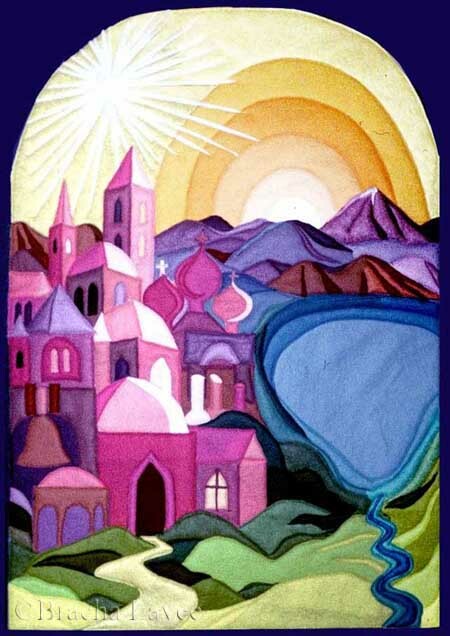 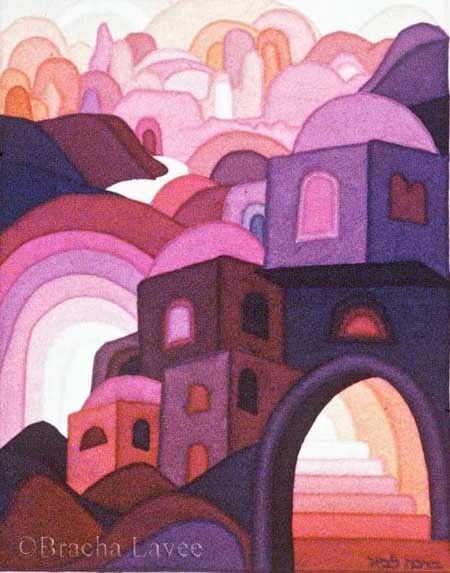 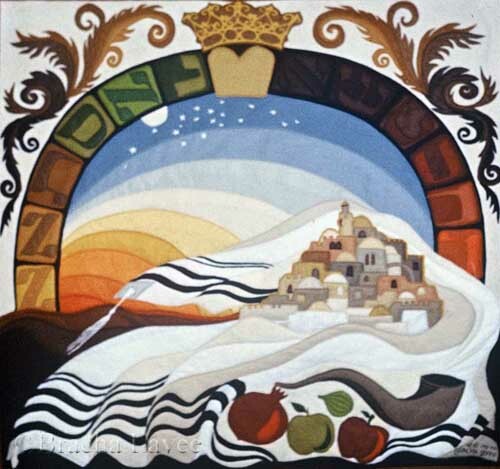 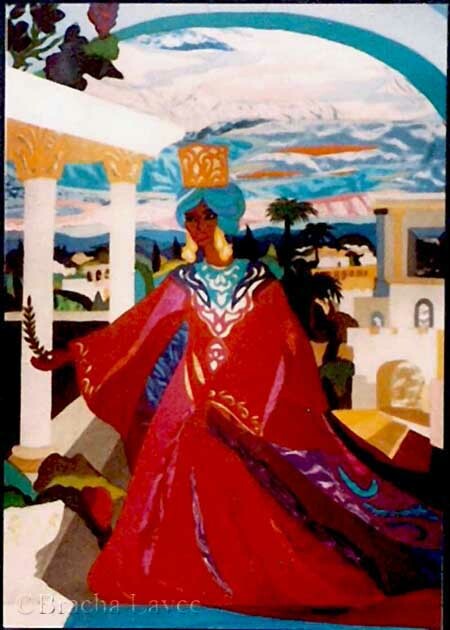 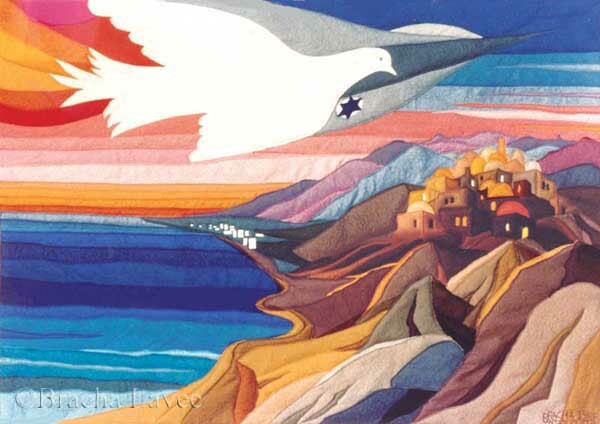 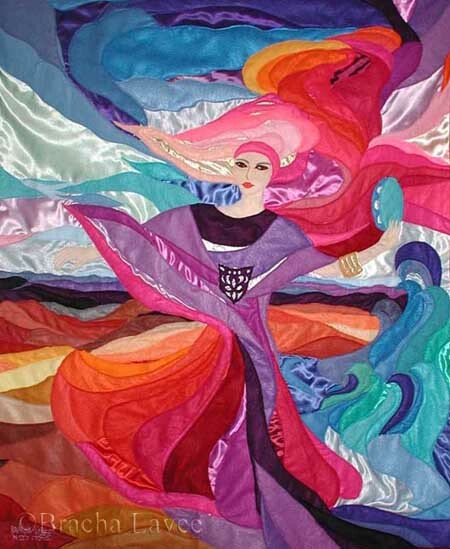 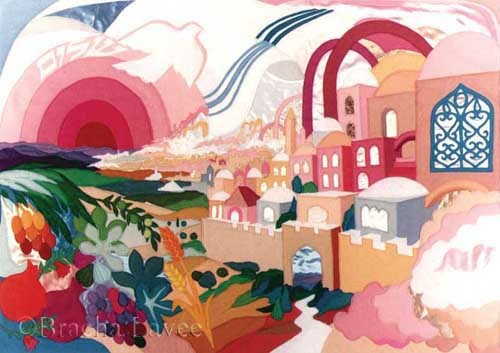 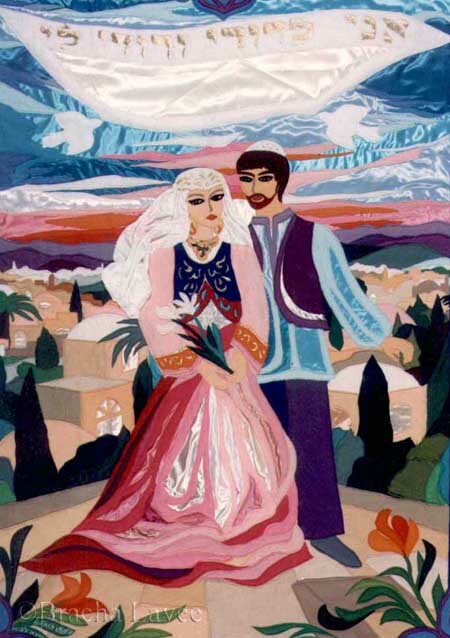 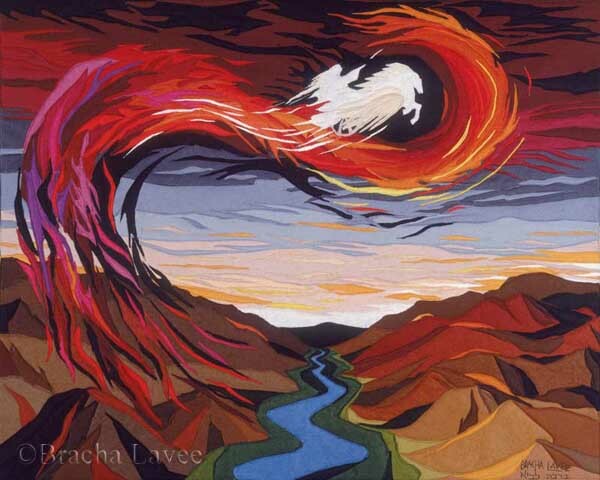 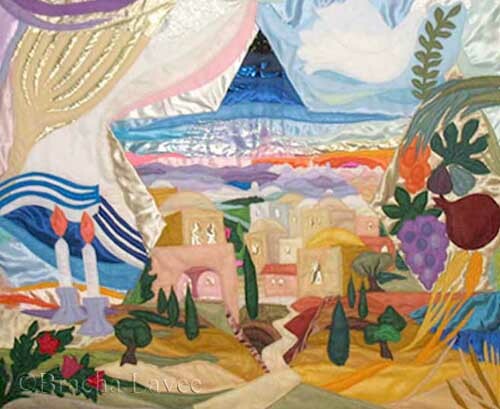 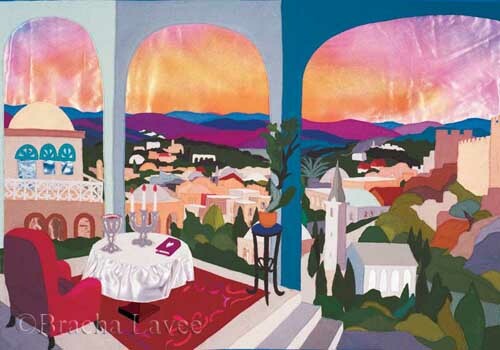 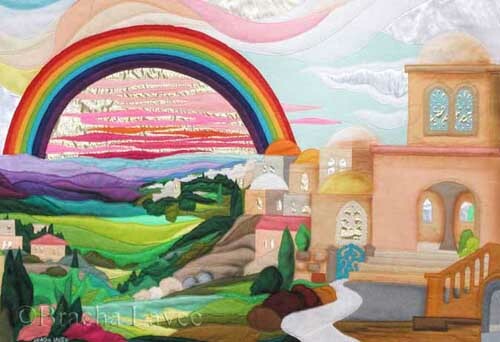 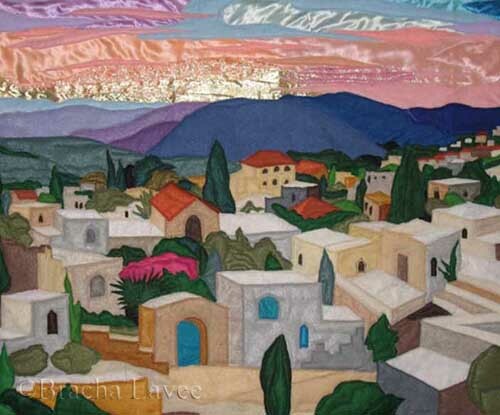 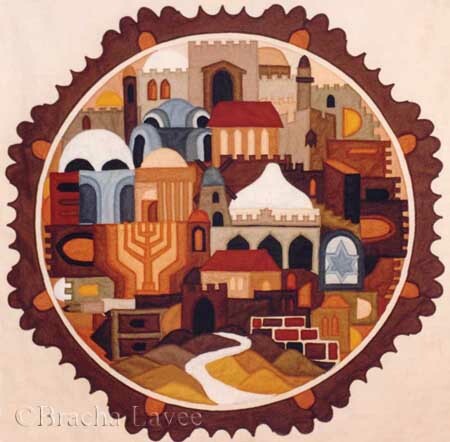 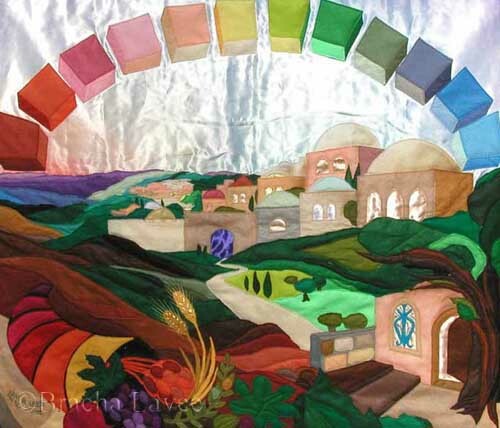 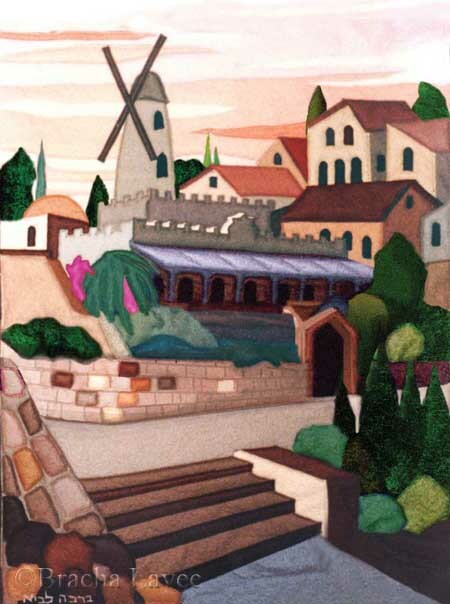 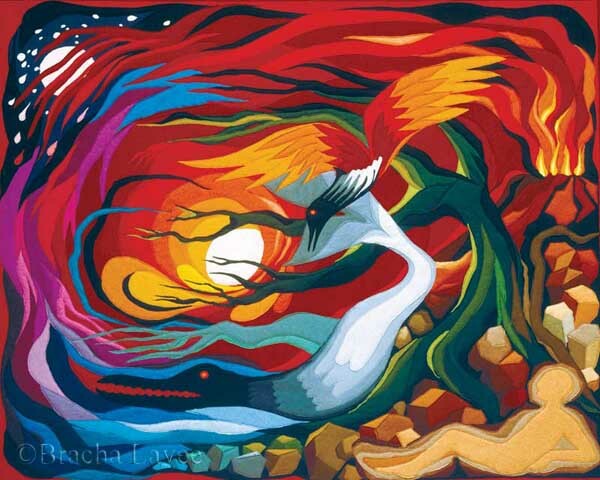 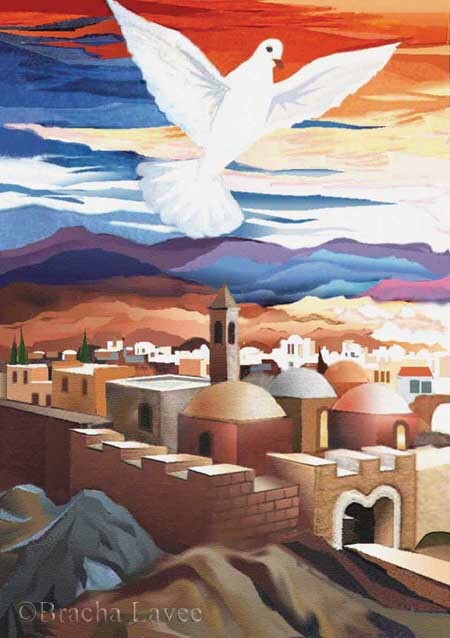 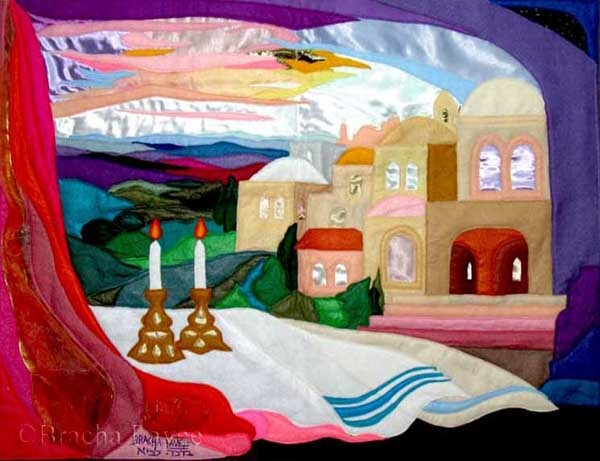 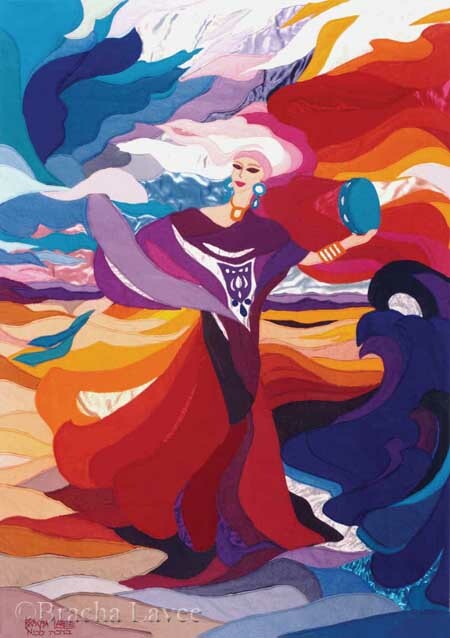 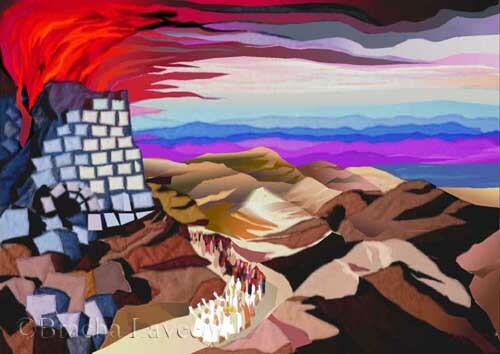 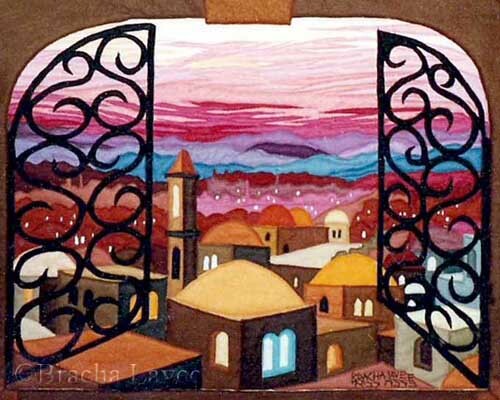 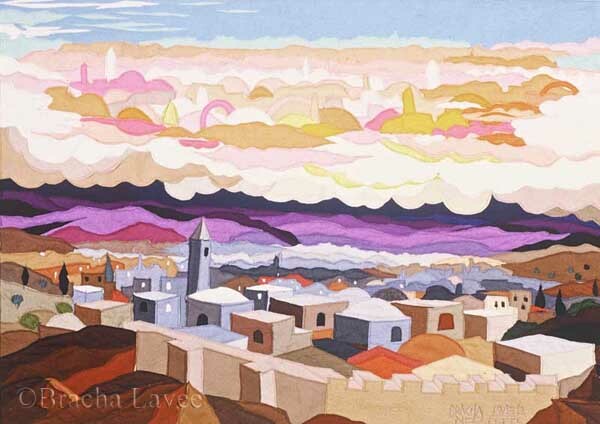 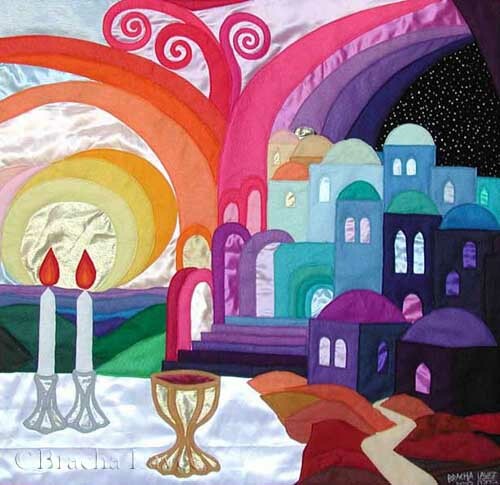 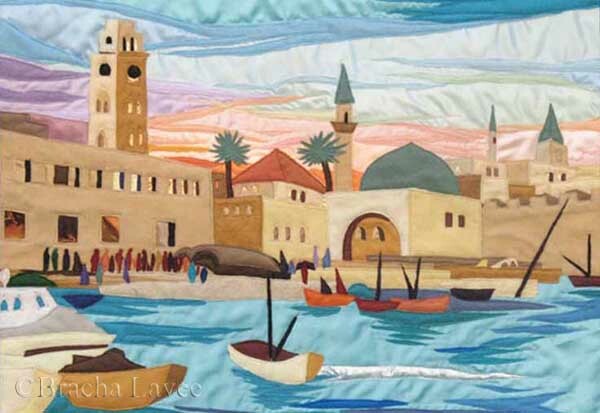 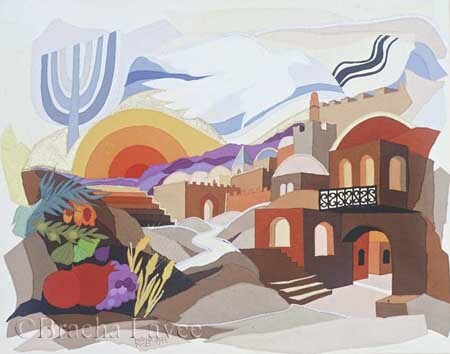 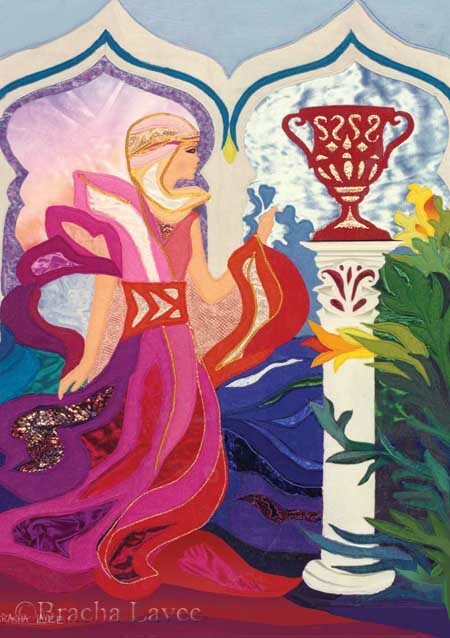 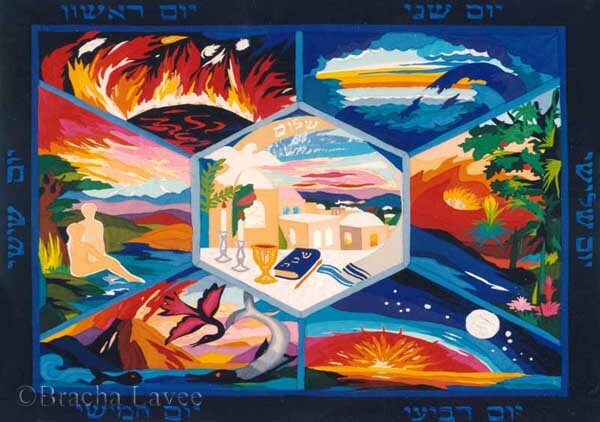 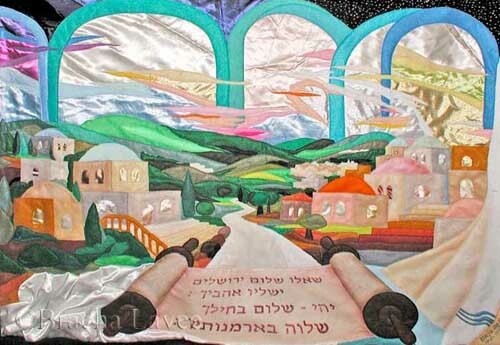 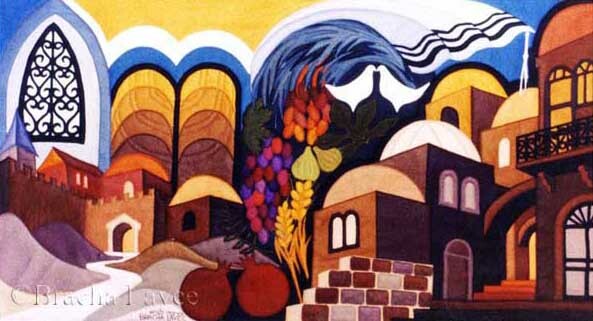 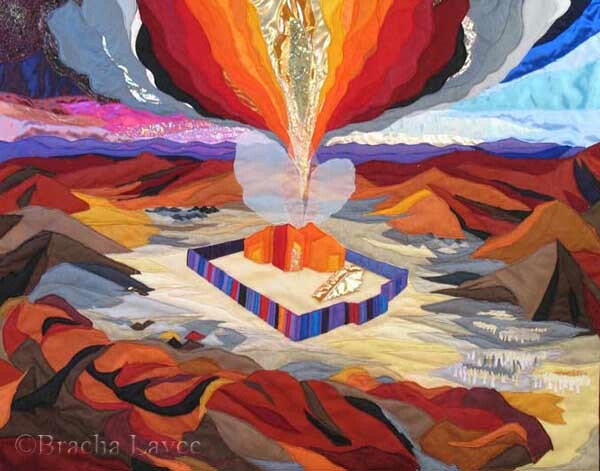 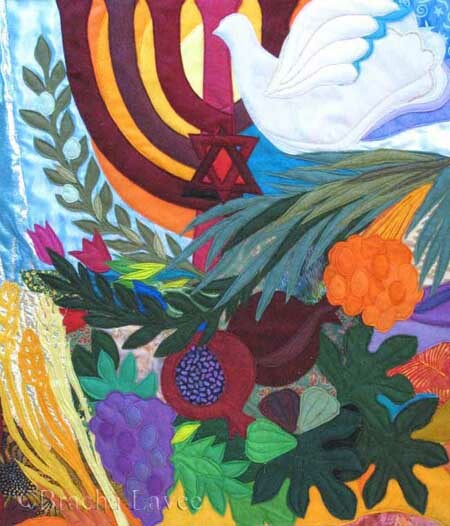 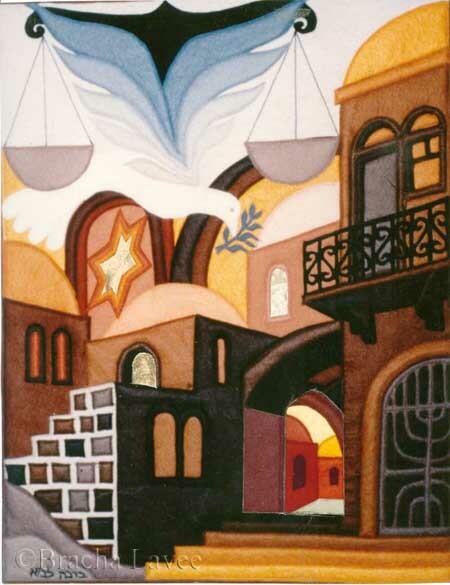 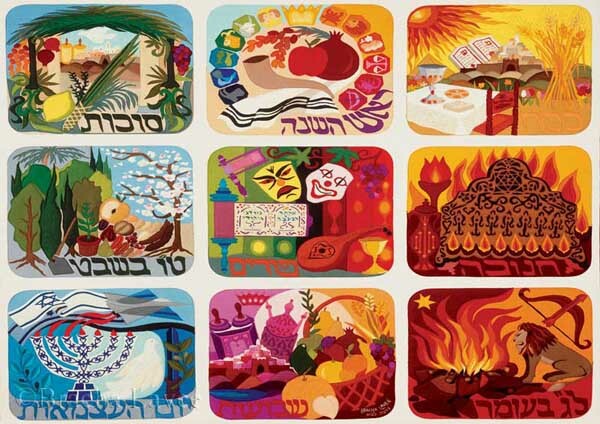 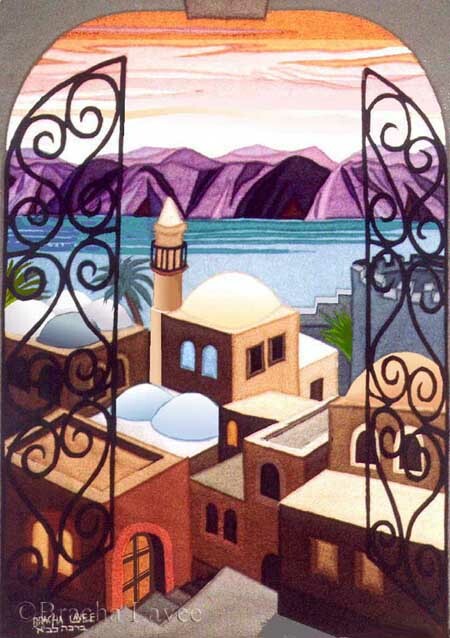 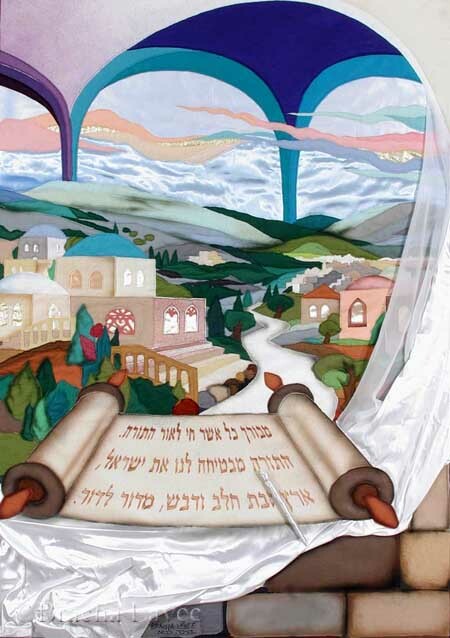 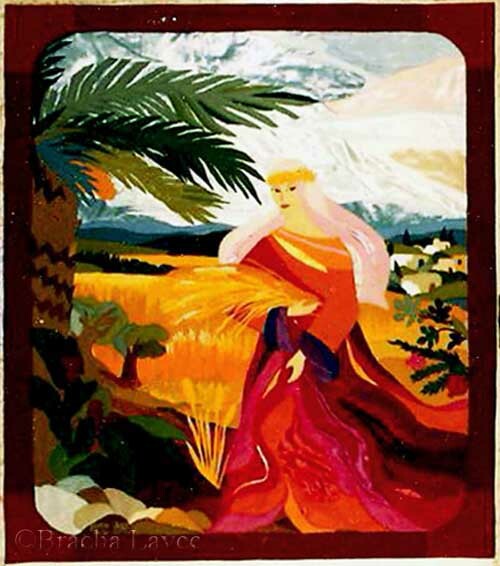 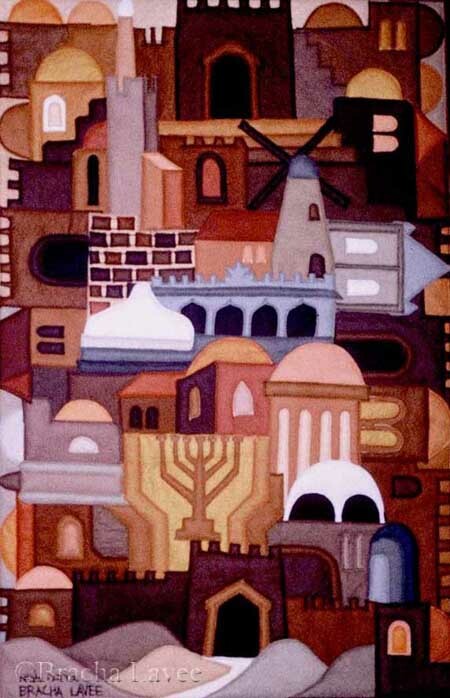 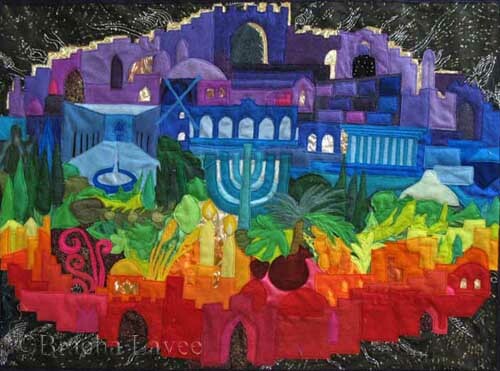 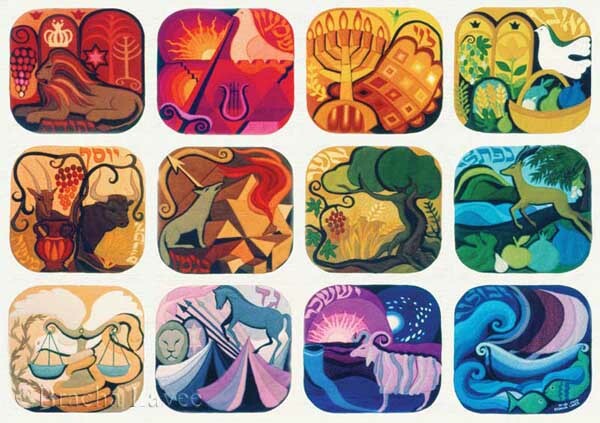 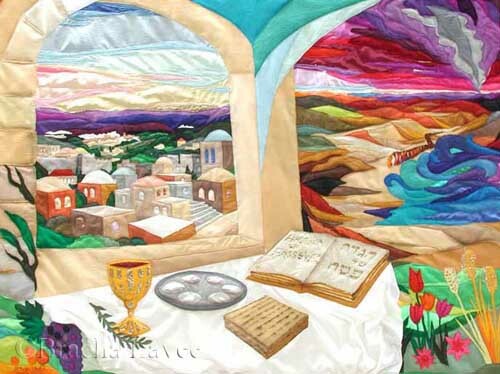 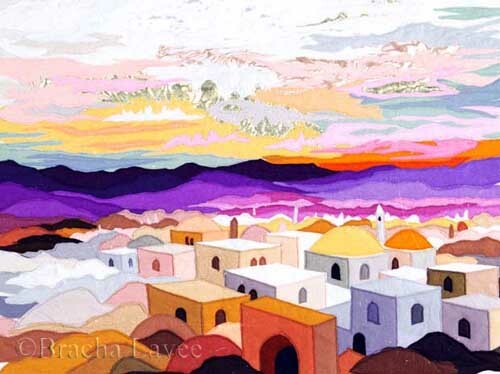 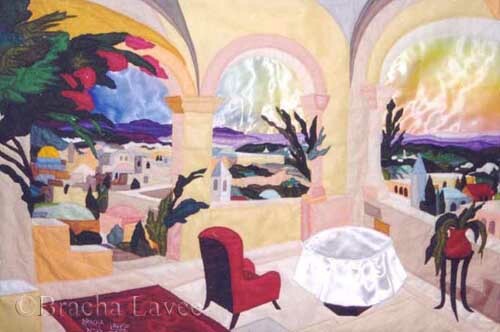 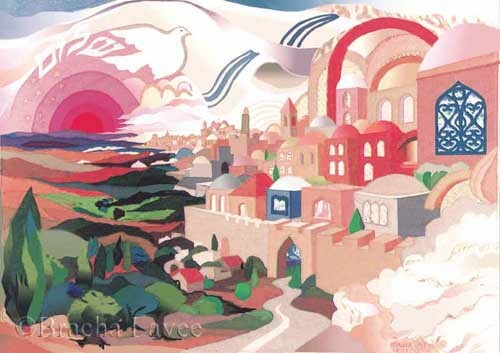 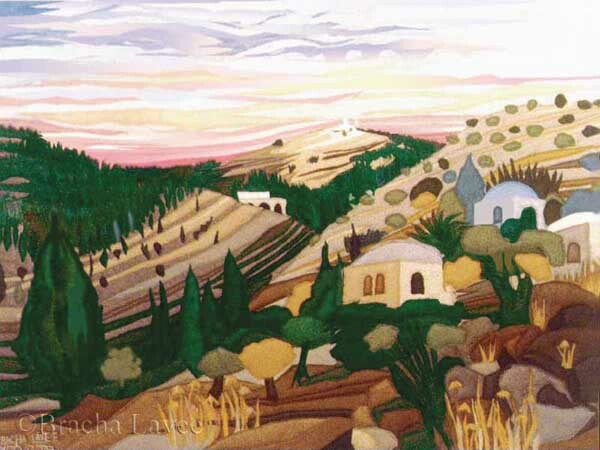 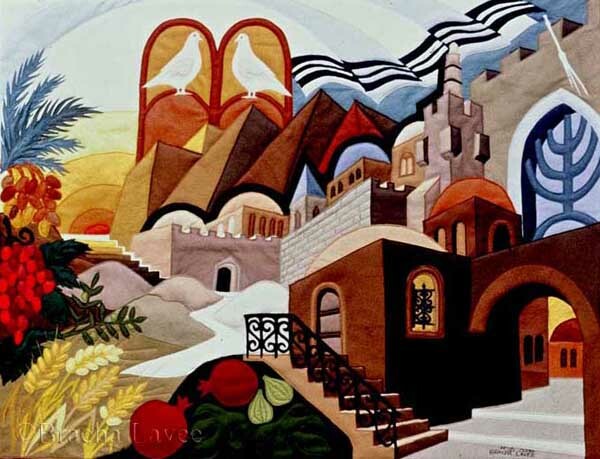 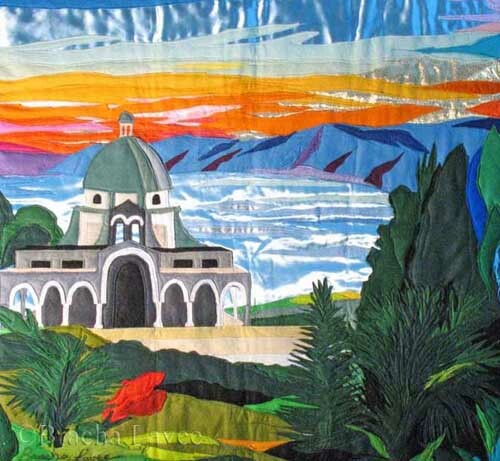 My style is between realistic and imaginary scenery, inspired by Jewish tradition, Bible and the views of Israel.